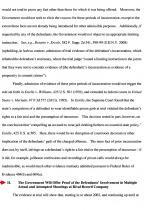 OCTOBER 24--A music executive who apparently committed suicide last year survived two prior shootings plotted by James "Jimmy Henchman" Rosemond, a rival hip-hop manager who doubled as a cocaine trafficker, federal prosecutors allege. 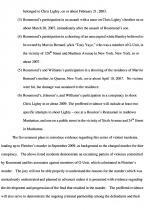 A rap world feud between forces aligned with Rosemond and the late Chris Lighty triggered “a series of violent conflicts” that included the assault of Rosemond’s teenage son and the retaliatory murder of an associate of Lighty, who was a partner of the rapper 50 Cent (real name: Curtis Jackson), according to a U.S. District Court filing. 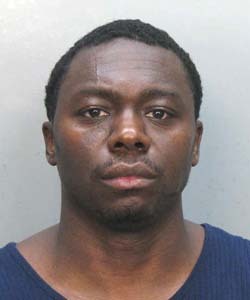 Rosemond has been charged with ordering the 2009 murder of Lowell Fletcher, an associate of both Lighty, who founded Violator Management, and 50 Cent, who heads the G-Unit rap crew. 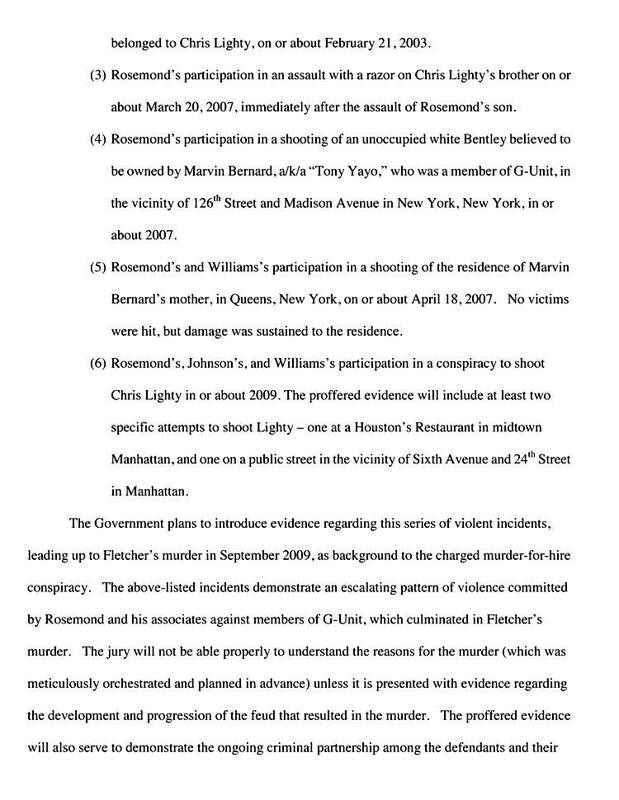 Fletcher, who was convicted of attacking Rosemond’s son, was murdered two weeks after his release from a New York state prison. 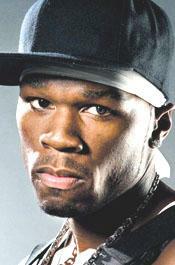 Lighty (left) and 50 Cent are pictured at right. 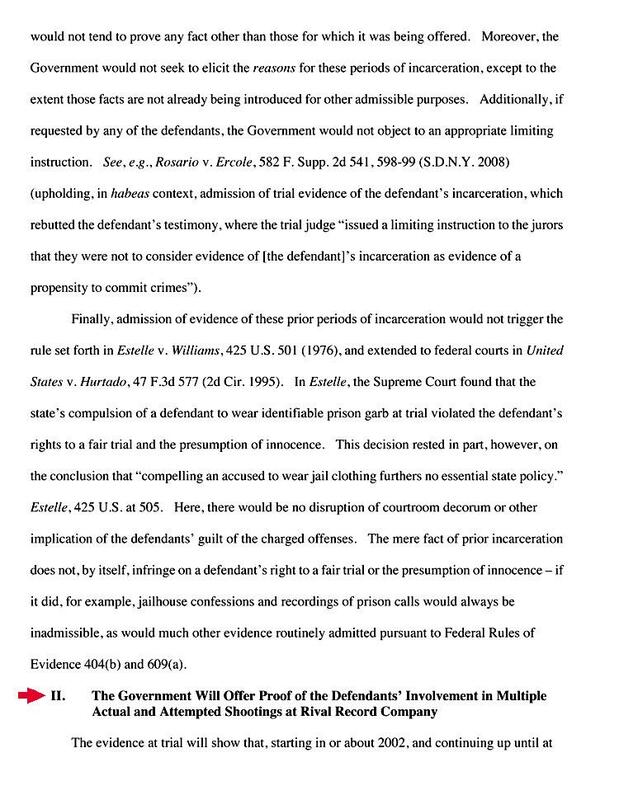 In advance of Rosemond’s November 18 federal trial, government lawyers have filed a motion seeking a judicial order permitting them to introduce evidence that Rosemond, 48, and some of his codefendants were involved in “multiple actual and attempted shootings” involving Violator and G-Unit targets. 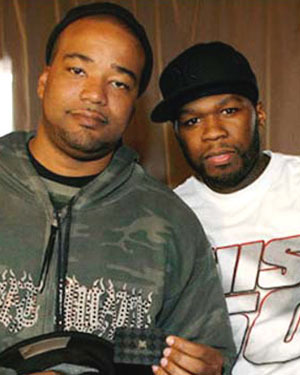 The feud between Rosemond and Lighty and 50 Cent began in 2002 and continued “up until at least 2009,” prosecutors contend. 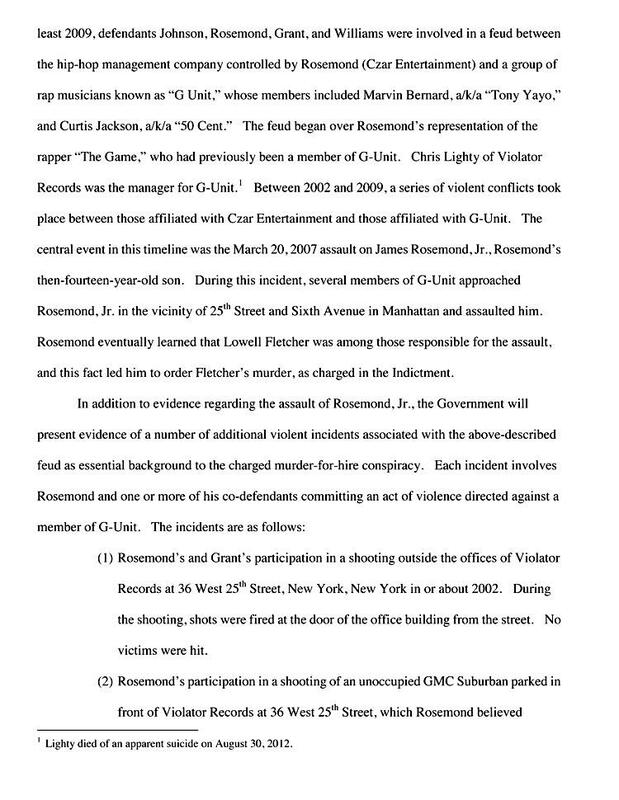 The dispute began when Rosemond, who headed Czar Entertainment, began managing the rapper The Game, who had previously been a member of G-Unit (which Lighty managed). Investigators allege that Rosemond & Co. fired shots at the front door of Violator’s Manhattan office and pumped bullets into an unoccupied SUV that they believed was owned by Lighty (the vehicle was parked in front of Violator’s West 25th Street headquarters). 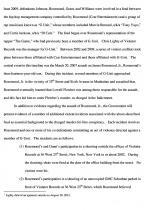 Additionally, Rosemond has been accused of targeting G-Unit rapper “Tony Yayo” (real name: Marvin Bernard). Prosecutors allege that shots were fired into Bernard’s white Bentley as well as the performer’s mother’s home in Queens. Last August, Lighty, 44, died of a single gunshot wound to his head. He was discovered in a pool of blood outside the Bronx home he shared with his estranged wife. A 9mm pistol was found at his side. “Lighty died of an apparent suicide,” prosecutors noted.